For years I’ve been aware of the Northwestern University Dance Marathon, mostly when my students ask for extensions on assignments because they will be dancing. (I can’t say no; they’re doing philanthropic work and you know how I feel about that!) This year, my niece solicited my support of her involvement with the self-proclaimed biggest of all collegiate Dance Marathon’s, the one and only Penn State ‘Thon. But, I never thought I’d get involved in one. And then we got an email from Children’s Memorial Foundation asking us to tell Charlotte’s story to a roomful of dancers at the first-ever post-collegiate, off-campus Dance Marathon. The Chicago Dance Marathon was a direct outgrowth of collegiate dance marathons. Its boardmembers come from Big 10 schools. From what I can tell, they were so moved by the good done by their collegiate dance marathons that they wanted to continue the good work. They are affiliated with the Children’s Miracle Network, and through that have chosen Children’s Memorial Hospital as their beneficiary. The dancers began their 13.1 hours at 8 a.m. on Saturday, March 6. We arrived at the McCormick Place Hyatt around 3:30 and were delighted by set up for participating families–there was a room filled with snacks and craft supplies, volunteers to help us, and a ballroom filled with enthusiastic dancers and the children they were helping. At 4:20 we took the stage. My knees were knocking as I read the (very) abbreviated version of Charlotte’s story that we shared. I fought back the tears as I spoke of her surgeries and Children’s incredible nursing care. Philippe did a great job ad-libbing off my too-prepared schpiel. I think Charlotte was just delighted to see her baby pictures on display! Charlotte’s friend Trudy brought her parents to cheer us on (Thanks, Bruce, for the photos). Her mom realized that she didn’t think of Charlotte as anything but a regular kid and playmate when Trudy started asking questions about “what’s that in Charlotte’s mouth?” (the breathing tube). The girls enjoyed another hour of dancing, playing, and painting before we took them home for pizza and cupcakes. 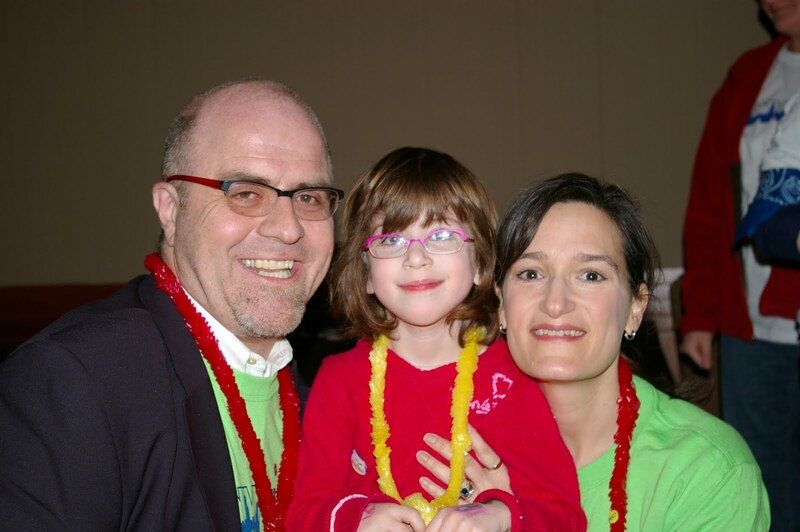 The unofficial tally: The first-ever Chicago Dance Marathon for Children’s raised nearly $250,000! The organization thinks this may be a record for an inaugural event. 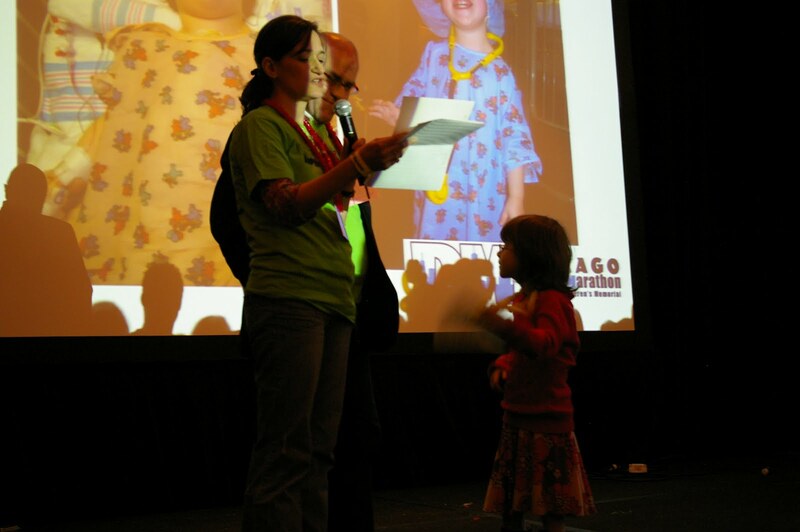 Categories: Chicago Dance Marathon, Children's Memorial Hospital | Permalink.